This week the yr 13 BTEC business students have been working on their organisation and marketing skills to sell Nations Fox key chains, with all proceeds going to the Zambia project. 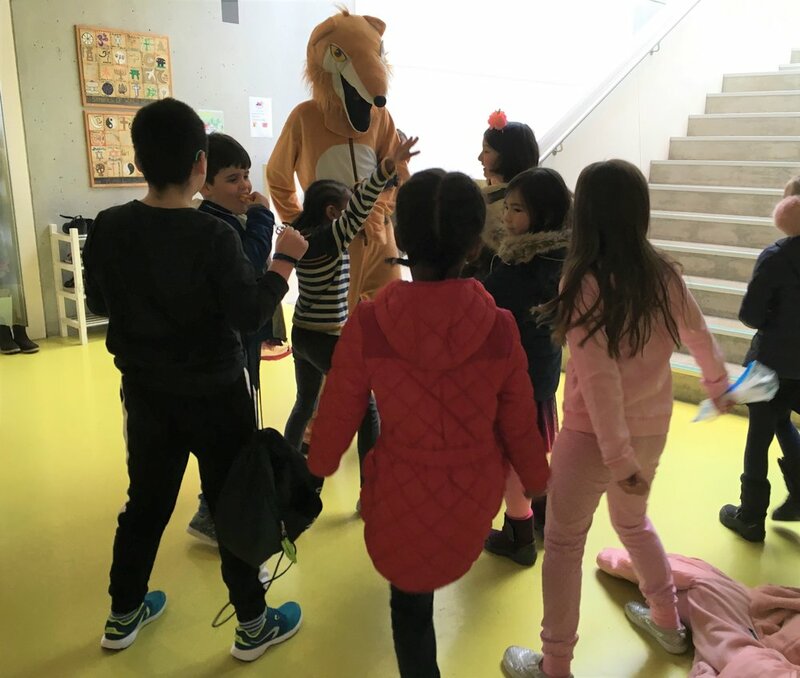 They have entertained the PYP with their energetic Mr Fox dance moves and enthusiasm. This follows a 10 week long process where the students had create a business case including budgets and projections, marketing plans, advertising campaigns, as well as manufacturing the key chains themselves. This has required imagination, teamwork, leadership and energy. The key chains will be on sale for just 2 more days - Monday and Tuesday next week and a new production batch will be needed because of their success! The keychains are 5CHF each and so far about 700CHF has been raised for the Zambia project! The BTEC Business and Art students have been working on redesigning the IB lounge for the DP and CP students. 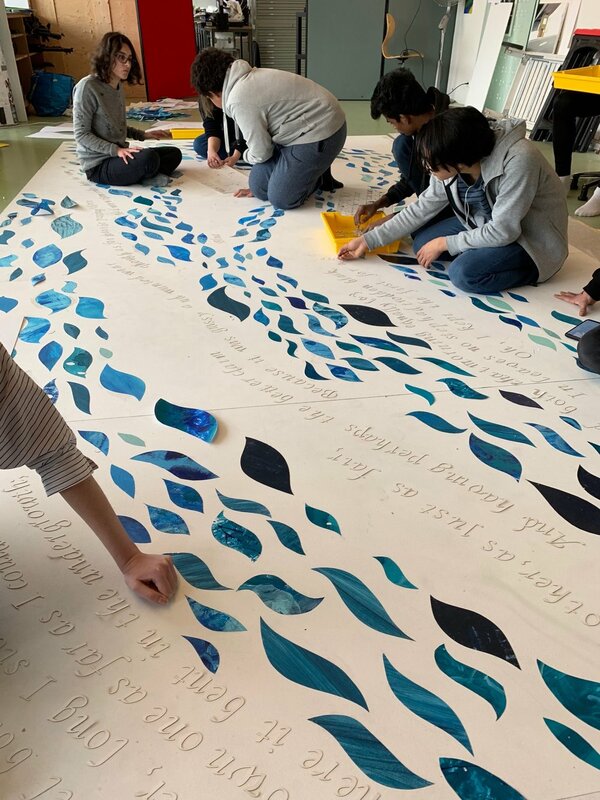 The Art students completed a mural to improve the design and the feel of the lounge. The Business students researched the benefits of a student lounge, proposed a design with furniture and a room layout, and presented their ideas to school administrators. We hope to have a relaxing and beautiful space in the next year. 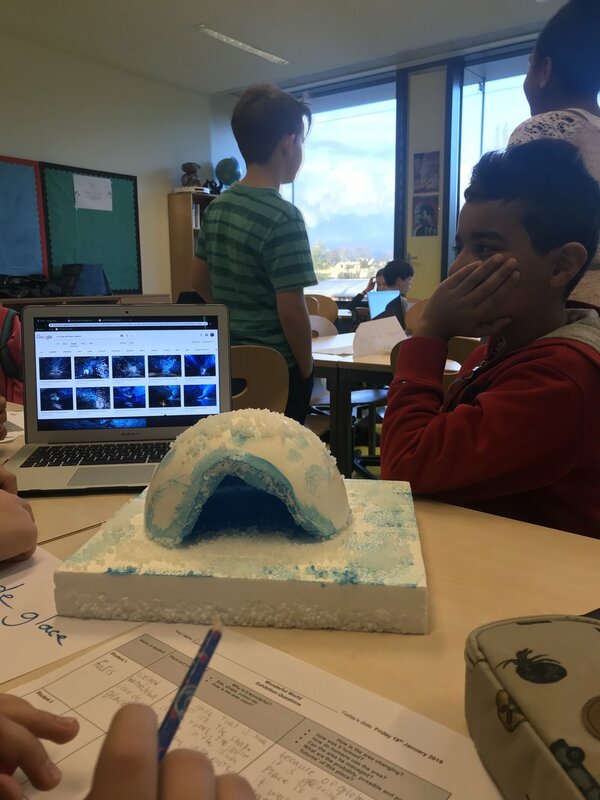 The Year 7 have been exploring how nature can make wonderful landforms. 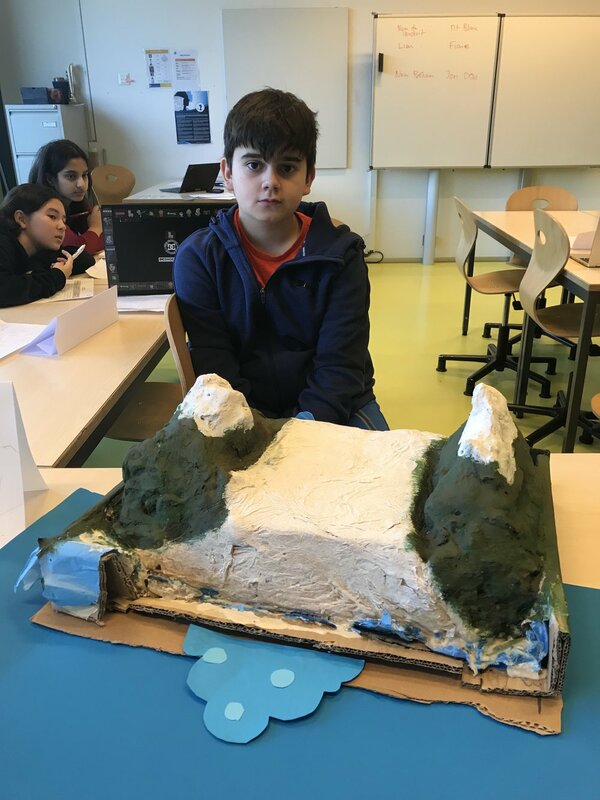 The students were taught how weathering and erosion are the processes behind the formation and they were then asked to investigate a landform that they considered wonderful. The students created a model and research portfolio. The project culminated in a sharing of places across the English and French Individuals and Societies groups. Well done to all involved. The Year 12 geographers have been exploring how different fluvial processes can create a range of landforms. To do this the group was divided into small teams and asked to create a landform guide. They needed to describe the landform, explain how the landform was created and say how humans use them today. 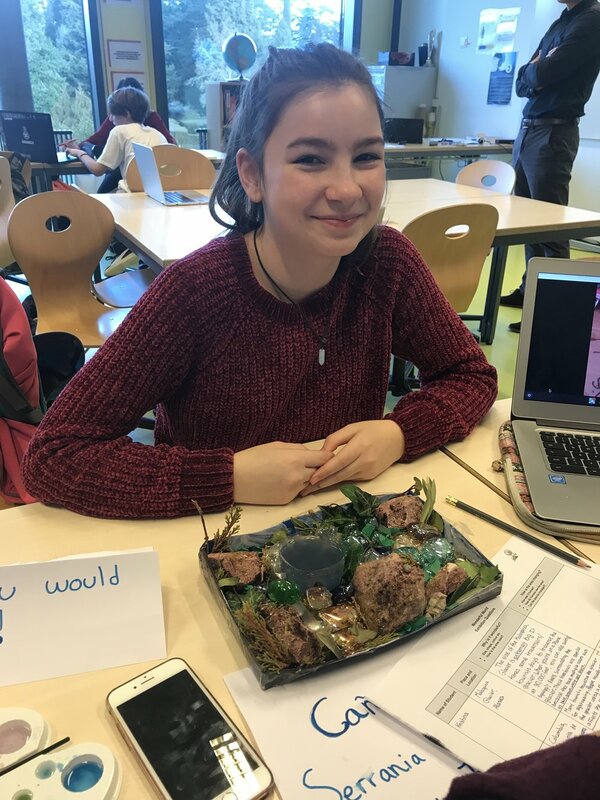 Year 13 have been exploring the impact that climate change has had on the biosphere and what the changes may be in the future. They have looked specifically at the impact on soil, agriculture, habitats and the changes to animal migration. The group were divided into teams to create a LucidPress guide to a specific focus area. The DP Geography students are currently investigating how agriculture has developed and spread over time. They have explored the influences on the spread of agriculture and how it has influenced the farmers lives. To do this the group worked as a team to develop a Google Slide presentation. The students who study Geography are required to required to write Extended Response Questions to show their understanding of the concepts studied. It is important for them to write explicitly about the concepts using very specific words. This can sometimes be a challenge in the heat of the moment of an exam. An exam of how to do this well is below. The students in Year 11 investigate how changes in civil rights occur. They have explored a number of key activists who campaign for change in different ways. Analysing sources is a key skill in Individuals and Societies that students learn throughout the MYP. In Year 10 the focus of study is on conflict and therefore the sources interrogated reflects that.